David Guiles, executive director of Grace Brethren International Missions, recently announced the appointment of Mike Taylor (pictured) to the position of Director of Operations for GBIM. Mike and Myra first joined the GBIM staff in 1989, when they were deployed as medical missionaries to the Central African Republic. 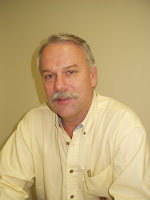 Later Mike became the Regional Coordinator for Africa, a position that evolved into Regional Director in 2000. Since 2000 Mike has fulfilled the dual roles of Personnel Director and Regional Director for Africa. Guiles continued, “As we seek to position GBIM for continued growth in ministry, I believe the time has arrived to restructure our supporting services in a manner that will allow us to move aggressively closer to implementing our vision and achieving our goals. The creation of the new position of Director of Operations is an important step in that direction. “First, it is designed to release me from a number of administrative responsibilities so as to focus my best energies on our goals. I look forward to investing more time with our Regional Directors, with major donors and with potential new recruits. “Second, I believe that combining our infrastructure and operations under one leader will greatly facilitate our ability to improve the services we offer to both our team and the FGBC.